Performing a car history check used to be a time-consuming prospect. However, with literally hundreds of sites offering you a full-service history check online for a fee, your options are plentiful. All information in this article is current as of August 2018. What does a vehicle history report look like? While each report is different, additional services are often available with a car history check, including an estimated valuation of the vehicle. Of course, depending on the history of the vehicle itself and how accurately this data has been recorded will impact how detailed your car history report is. Obtaining a car service history can help you discover its current market value and condition. This can help make sure that you don’t end up purchasing a vehicle that might be stolen, tampered with or in a poor condition. Service NSW offers a free registration check and a paid vehicle service report. The vehicle history report currently costs $22.00 as of August 2018. The free check is basic and covers whether the rego is cancelled or currently suspended. It also lets you know when the registration will expire. Unfortunately, that is all you get for free. Using the paid service, you can find out more about the history of a car, including how many previous owners it’s had, whether there is any unpaid finance on it, and a service history report. While not as comprehensive as some of the other providers, it is information direct from the government website which many people find to be trustworthy and accurate. NRMA car history delivers an instant vehicle report pulling on its comprehensive database built by years in the automotive service and insurance industry. It includes ANCAP safety and emission ratings. A damaged, stolen or written off a check. Odometer check. Sale information. Financial liability check. Vehicle valuation and registration details. Alongside a detailed report, NRMA also offers Vehicle Buyback Insurance of up to $25,000 for 3 months. NRMA’s report costs $29.50 for NRMA Members (RRP $36.95). REVS offer two reports. For $25, REVs check provides you with a PPSR (previously REVS) check and an official PPSR Certificate. They also offer a comprehensive $36.95 report. A REVs check typically includes a stolen vehicle, flood and storm damage, and written-off check. Odometer wind-back check. Vehicle financial liability check. Vehicle Buyback insurance. Official PPSR Certificate. VIN and registration details. First sale information. The vehicle’s current estimated value. Sales price and odometer reading comparison and an ANCAP Safety and emission ratings report. CarFacts provides a comprehensive car service history report starting at $29. The report includes information on the vehicle’s green star rating, write off checks, odometer, warranty, registration, stolen and finance checks. It also includes registration details, a vehicle description, an ANCAP safety rating, market comparison and a PPSR certificate. All of their car history checks are performed via the CarSales database. CarSales are the largest source a vehicle listing data in Australia. Typically, the history report is available in approximately 15 minutes after placing an order. The free record check provided by car history covers all the basics. The report performed online checks whether a vehicle is currently registered and when the registration is due to expire. There is also confirmation of the vehicle type and model along with an up-to-date CTP status. A comprehensive report is also available for $25. This report includes information on the first sale, buy back insurance, car valuation, odometer check, write-off check, PPSR certificate, stolen check, registration number, status and expiry, and model, make and body shape. Again, this information is pretty standard for the comprehensive report and can be found with all of the other providers on this list. Check my Rego covers all of the same checks as the providers above. Information such as first sale information, engine details, vehicle registration, odometer history, sales listings, valuation and price comparison are all available. However, the website is not upfront about how much the service history check costs and this information is nowhere to be found on the site. The only way to discover this information is to enter your VIN or number plate and select your state. The lack of pricing information makes it difficult to determine whether this car history report is good value for money. If the car service history report you obtain for a potential buy contains any of the following, tread carefully. Has the car been stolen? Buying a stolen vehicle is not only against the law but could end up costing you thousands, too. Knowing whether a vehicle has been stolen or not can save you from potential problems down the road. Has it been regularly maintained? 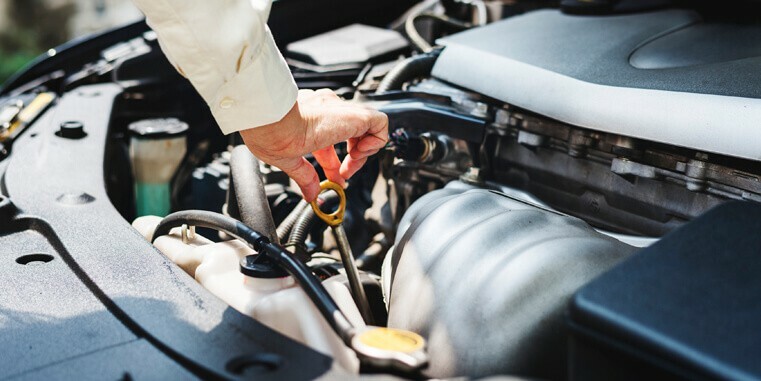 If the car service history shows that there has been limited maintenance performed, then the vehicle could require extensive repairs in future. Was the car a write-off? If the car has been previously written-off, there is a risk that there might be hidden damage. Vehicles are written off when the repairs will cost more than the value of the vehicle. Is the odometer accurate? If the odometer is showing a value lower than that on the car service history then it is an indicator that it has been tampered with. This should set alarm bells ringing about the intentions of the seller. Unfortunately, there are no 100% free full-service history checks available. Basic checks are available, which can help you discover whether a car has been stolen and when the registration expires. However, for more comprehensive and detailed reports you will be expected to pay between $9 to $30. Of course, this fee is well worth the investment as it can save you thousands of dollars down the road.